We will use your information to provide and personalise our service and to detect and prevent fraud. We will also use your contact details to communicate with you. We may use your information to send you offers and news about LW Life Coaching group products and services or those of other carefully selected companies which we think may be of interest to you. We may contact you by post, email, telephone or fax for these purposes. Cookies help us to recognise you when you come back to our websites and to note the advertisements displayed to you. This helps us to choose adverts that we think are more relevant to you. We may use the services of third party ad servers for this purpose. A third party ad server is a company that specialises in maintaining, serving, tracking and analysing results of online advertising campaigns. Cookies may be used to compile anonymous statistics about online activity. A third party collects such data on our behalf to measure website performance. Information collected is aggregated for reporting purposes. The use of this service assists us in measuring and improving our websites. Cookies cannot be used by themselves to identify you. You are not obliged to accept cookies and may modify your browser so that it will not accept cookies. Please be aware that if you disable cookies, many personalised services on our websites will not work as we intended. You can’t decline web beacons, however by preventing cookies being used on your computer, you can prevent web beacons from tracking your activity. You have a right to ask for a copy of your personal information from LW Life Coaching (for which we charge a small processing fee) and to ask us to correct any inaccuracies in your personal information. To make sure we follow your instructions correctly and to improve our service to you through training of our staff, we may monitor or record telephone calls. This copyright policy summarises how users are permitted to use our content. Our Terms and Conditions set out the detail of what you can and cannot do with our content. This copyright policy summarises how users are permitted to use our content. All of the material published on our website and other platforms is protected by copyright law. Use that is made without our permission may therefore infringe our copyright which can result in personal and corporate liability. As specified above you may not republish or redistribute full text. You may however republish or redistribute summaries of articles if you comply with the conditions set out below. “Summaries” can be either an “extract” or an “abstract”. By “extract” we mean 30 words copied verbatim from an article which is inserted into a longer original work. By “abstract” we mean a 30 word non-verbatim summary of the news or facts reported in an article which does not form part of a longer work. if LW Life Coaching notifies you that it believes you are creating, republishing or redistributing summaries outside of these parameters, you shall immediately cease doing so and your rights to create summaries shall be regarded as having been withdrawn, unless/until LW Life Coaching reaches an agreement with you regarding your use of LW Life Coaching articles. Please note that these rights do not extend to content, data or other material published by LW Life Coaching that we licence from third parties which you may not republish or redistribute. If you continue to browse and use this website, you are agreeing to comply with and be bound by our terms and conditions of use. The term LW Life Coaching or ‘us’ or ‘we’ refers to the owner of the website whose registered office is LW Life Coaching, UK. The term ‘you’ refers to the user or viewer of our website. This website uses to monitor browsing preferences. If you do allow cookies to be used, the following personal information may be stored by us for use by third parties. These Rules are the conditions of entry to all competitions. These Rules are the conditions of entry to all competitions and apply to all competitions held by LW Life Coaching and any of its subsidiaries, unless otherwise expressly stated. By entering a Competition, entrants agree to be bound by these Rules. Rules specific to each Competition are displayed in a notice on the page for such Competition (“Competition Notice”) or in a notice in which the Competition appeared and are incorporated into the Rules. In the event of discrepancy between these terms and conditions and the Competition Notice, the Competition Notice shall prevail. LW Life Coaching reserves the right to cancel or amend the Competition or the Rules without notice in the event of a catastrophe, war, civil or military disturbance, act of God or any actual or anticipated breach of any applicable law or regulation or any other event outside LW Life Coaching ’s reasonable control. Any changes will be posted either within these terms and conditions or the Competition Notice. A copy of the Rules may also be obtained by contacting the relevant Promotions department of the publication in which the competition appeared. To qualify to enter the Competition you must be resident in the United Kingdom, Republic of Ireland and/or the Isle of Man. The address you provide with your competition entry (“Entry”) may be used to send any prizes so please make sure this is correct. Employees of LW Life Coaching plc or any associated company of LW Life Coaching plc and their immediate families, persons connected with the competition/prize draw and their immediate families i.e. prize sponsors, newsagents, wholesalers & their agents are not eligible to enter the Competition. Additional eligibility requirements may apply to a specific Competition, e.g. a valid passport, visas and/or driver’s licence will be required if the Competition prize includes travel outside the United Kingdom and/or car hire. By entering the Competition, you hereby warrant that all information submitted by you is true, current and complete. LW Life Coaching reserves the right to verify the eligibility of all entrants. LW Life Coaching assumes that by reading the publication or by using the website and entering the Competition (and you warrant that) you are aged 18 or over or, if you are under 18, that your parents have consented to your entry into the Competition and these Rules. LW Life Coaching reserves the right to disqualify any entrant if it has reasonable grounds to believe the entrant has breached any of the Rules. In the event that any entrant is disqualified from the Competition, LW Life Coaching in its sole discretion may decide whether a replacement should be selected. In this event, any further entrant will be selected on the same criteria as the original entrant and will be subject to these Rules. Only one entry per person per Competition is allowed (except where the Competition Notice states that more than one entry can be submitted) and any entrant who enters more than the permitted maximum will be disqualified. Unless otherwise indicated photocopies of entry coupons are not accepted. Where a winner has been selected and LW Life Coaching discovers or has reasonable grounds to believe the winner has made more than one Entry, LW Life Coaching reserves the right to select an alternative winner. Any further winner will be selected on the same criteria as the original winner and will be subject to these Rules. Only one entry per person will be accepted. If it becomes apparent that a participant is using a computer(s) to circumvent this term by, for example, the use of ‘brute force’, ‘script’ or any other automated means, that person/those e-mail addresses will be disqualified and any prize award will be void. There is no purchase requirement to enter an online Competition. There is no charge to register with LW Life Coaching website if registration is required as part of the entry process. Proof of posting or emailing cannot be accepted as proof of delivery. LW Life Coaching cannot accept responsibility for any error, omission, interruption, deletion, defect, delay in operation or transmission, communications line failure, theft, destruction, alteration of, or unauthorised access to Entries, or Entries lost or delayed whether or not arising during operation or transmission as a result of server functions, virus, bugs or other causes outside its control. Prize winners will be chosen at random, unless specified otherwise in the Competition Notice, from qualifying Entries within 28 days of the closing date specified in the Competition Notice. In all matters, the decision of the judge(s) shall be final and no correspondence or discussion shall be entered into. Prize winners will be notified in the manner and within the time specified on the Competition Notice. Return of any prize notification as undeliverable or failure to reply as specified in the notification (and within the time stated) may result in disqualification and selection of an alternate winner. If more than one prize is awarded only one prize per entrant will be awarded. 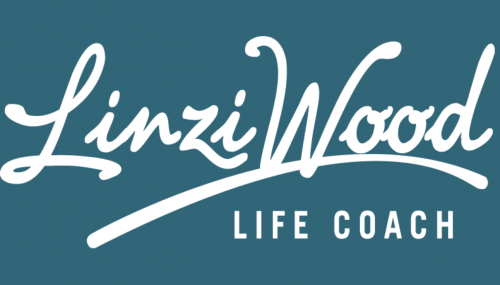 Competition winner(s)’ names may be published in the LW Life Coaching publication in which the competition appeared and on the relevant publication’s website. Prizes are non–transferable and there is no cash alternative. LW Life Coaching reserves the right to substitute prizes of equal or greater value at any time. Prizes are awarded at the discretion of LW Life Coaching and no prizes will be awarded as a result of improper actions by or on behalf of any entrant. Where a prize may not be appropriate for a younger contestant, the minimum age for entry will be stated in the Competition Notice and must be observed. LW Life Coaching reserves the right to request written proof of age of any winner. LW Life Coaching does not, unless we agree this with you, claim any rights of ownership in your Entry. As such, you retain ownership and copyright, although LW Life Coaching will be able to use Entries as set out in the Rules, you will also have the right to use your Entry in any way you choose. Where any Entry is to be used in a different way (e.g. we are asking to own this) this will be made clear in the Competition Notice and you will then be able to choose whether to enter the Competition. In consideration of LW Life Coaching agreeing to consider entrants to the Competition, each entrant hereby agrees that LW Life Coaching (and third parties authorised by LW Life Coaching ) may make any and all Entries available in their publications and on their websites and any other media, whether now known or invented in the future. You now grant LW Life Coaching (and third parties authorised by LW Life Coaching ) a non-exclusive, worldwide, irrevocable licence (for the full period of any rights in the Entry) to use, display, publish, transmit, copy, make derivative works from, edit, alter, store, re-format, sell and sub-licence the Entry for such purposes. LW Life Coaching does not guarantee to use or otherwise make available any Entry. LW Life Coaching may, in appropriate circumstances, and at its sole discretion, reject, edit, remove or disable access to Entries that appear to be legally or otherwise problematic e.g. infringe the copyright or other intellectual property or privacy rights of others, are defamatory etc. or for any other reason. Your entry and any information submitted by you must be personal to and relate specifically to you. You hereby warrant that your Entry and all information which you submit and/or distribute will not infringe the intellectual property, privacy or any other rights of any third party, and will not contain anything which is libellous, defamatory, obscene, indecent, harassing or threatening. If relevant, LW Life Coaching reserves the right, but not the obligation, to screen, filter and/or monitor information provided by you and to edit, refuse to distribute or remove the same. LW Life Coaching cannot accept any responsibility for any damage, loss, injury or disappointment suffered by any entrant entering the Competition or as a result of accepting any prize. LW Life Coaching is not responsible for any problems or technical malfunction of any telephone network or lines, computer on-line systems, servers, or providers, computer equipment or software, failure of any email or entry to be received on account of technical problems or traffic congestion on the Internet, telephone lines or at any web site, or any combination thereof, including any injury or damage to entrant’s or any other person’s computer or mobile telephone related to or resulting from participation in the Competition. Nothing shall exclude LW Life Coaching ’s liability for death or personal injury as a result of its negligence. Winners may be requested to take part in promotional activity and LW Life Coaching reserves the right to use the names and addresses of winners in any publicity both in paper and online.